About to enter my first colouring competition of the year..
Digi image is mailbox from Polkadoodles. I have 3d'd the bear, bird and flag. 2 background papers are from Rose Garden Pretty Paper Bloc from Marianne Design. I really enjoyed colouring this cute little image. My first attempt at a teddy, Love the way she and her dress have turned out. A lovely card and a gorgeous little image! Thanks for joining in the Anything Goes fun at In The Pink - good luck and I hope we see you enter again soon! 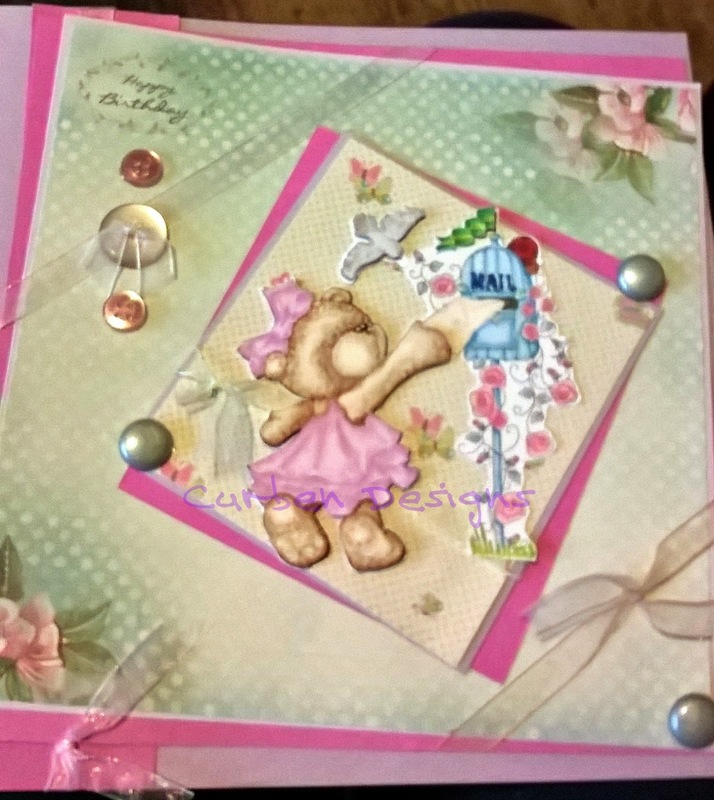 love the image, thank you for joining us for our sentiment only challenge at Crafty Ribbons. A cute card, love the pretty green and pink tonings. Thanks for sharing with us at Aud Sentiments Challenge Blog this fortnight. Very sweet looking card. Adorable image. Love all the buttons on your card. Thanks for joining us over at AUD sentiments. So adorable. Thanks for joining us at Noor!DesignUK.